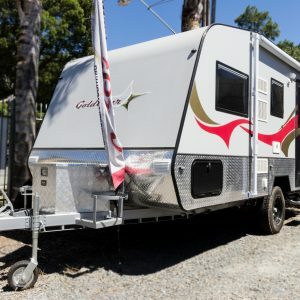 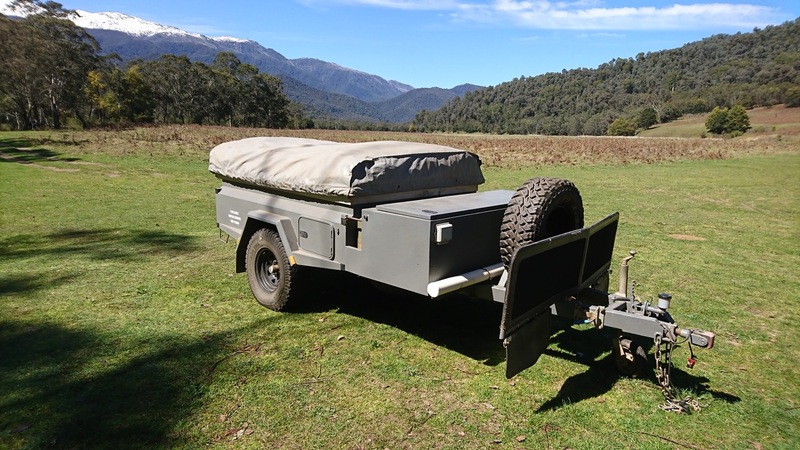 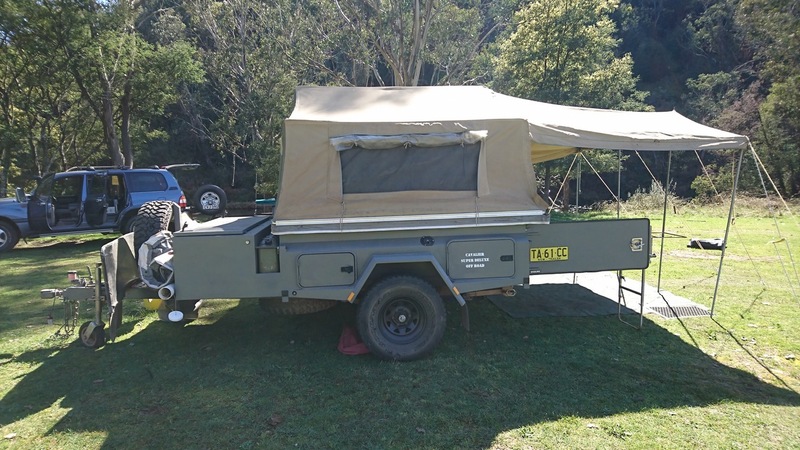 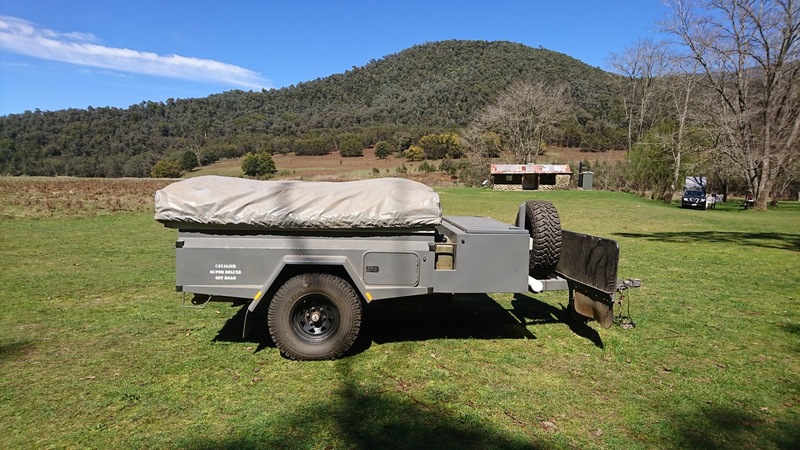 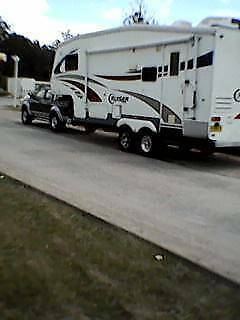 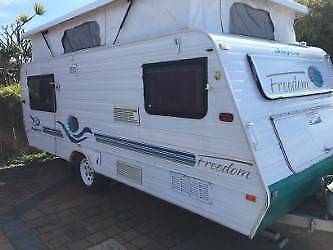 Fully Australian-made with welded body, independent suspension, new shock absorbers and brake pads, and hydraulic brakes (no electric brakes system required on tow vehicle). 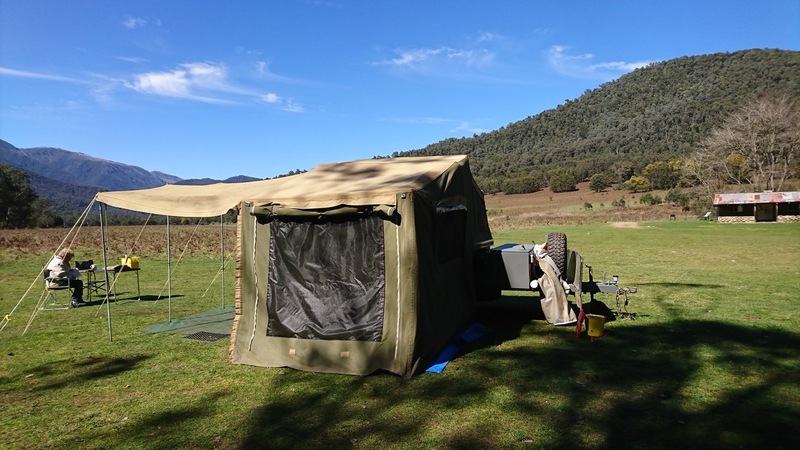 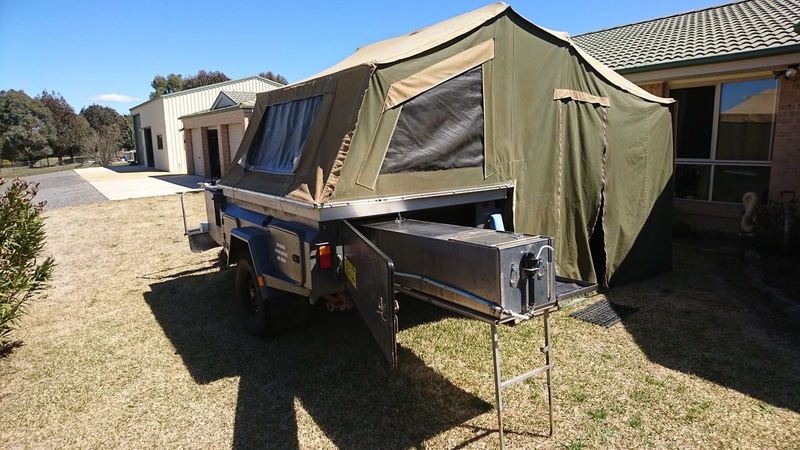 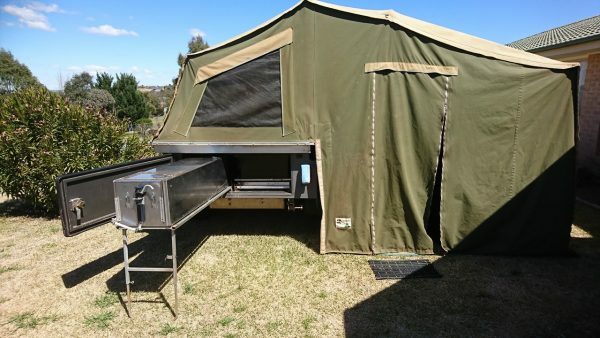 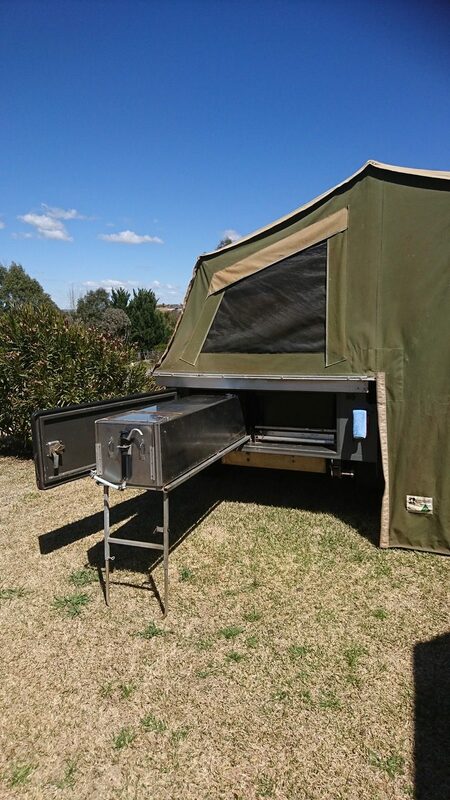 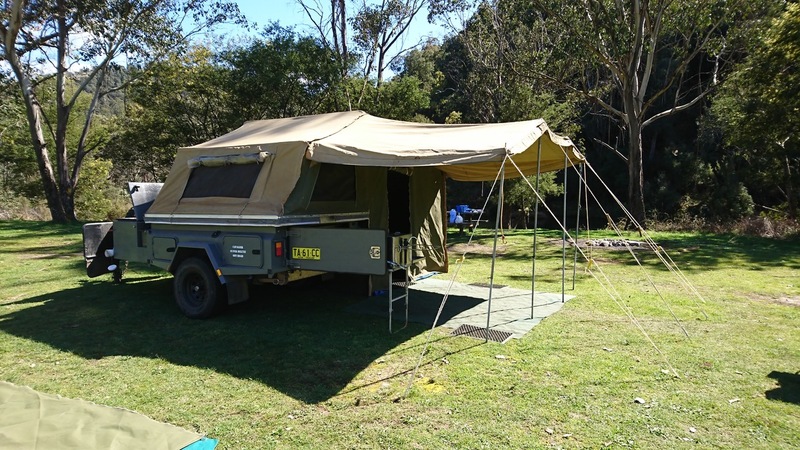 Extra heavy duty 9 x 8 canvas tent with removable awning and full annex, including all necessary tent poles, pegs and ropes. 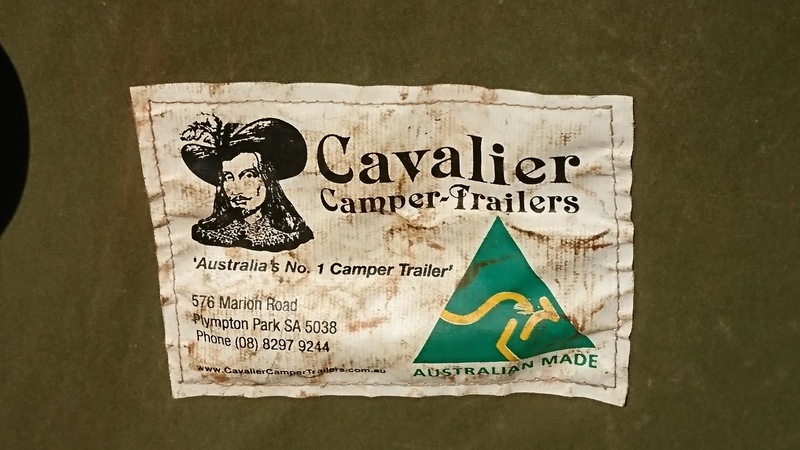 Zips have recently been replaced on trailer cover and in tent. 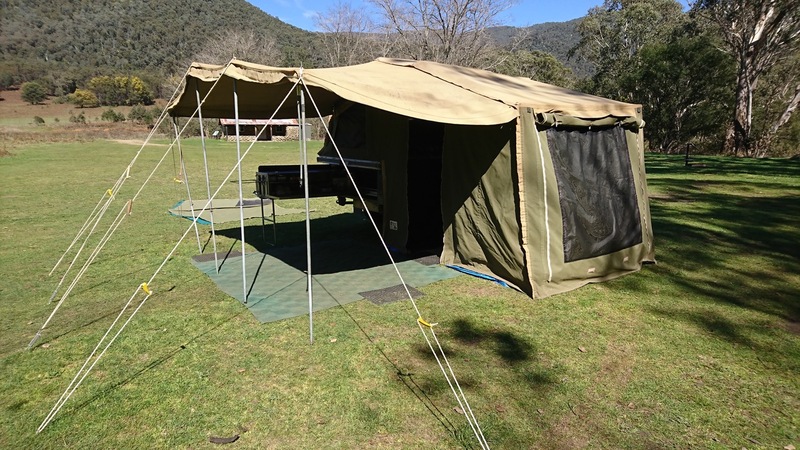 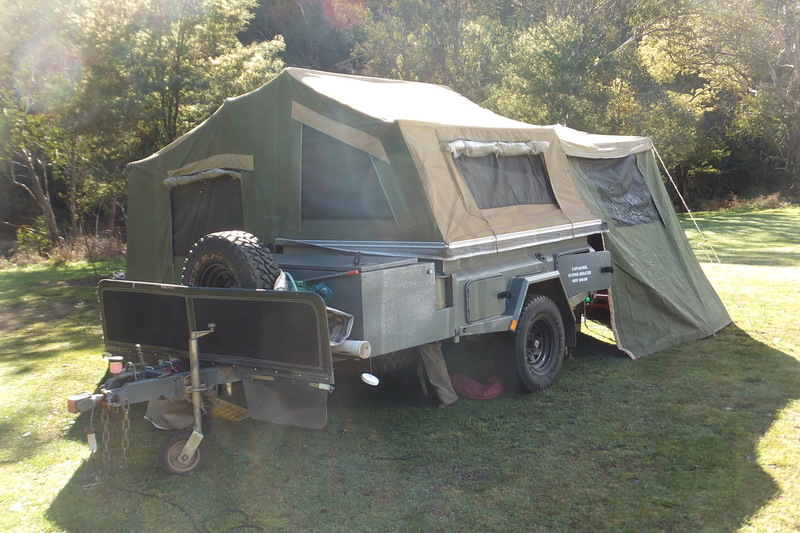 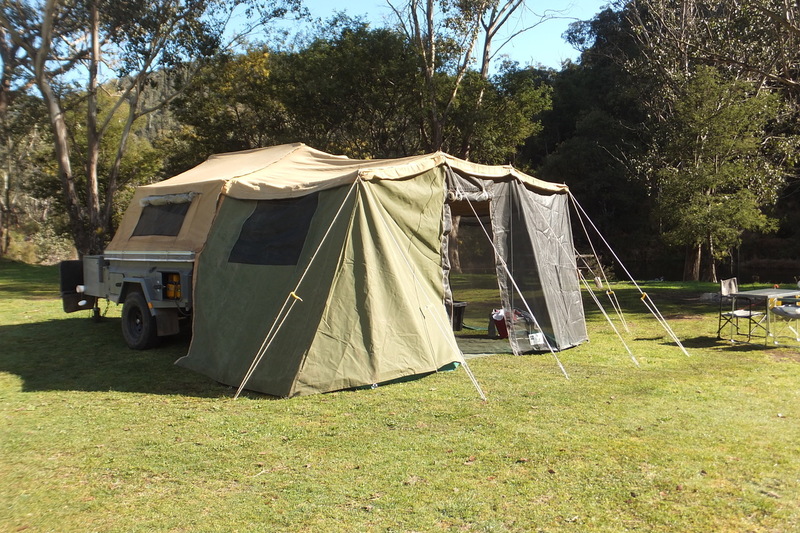 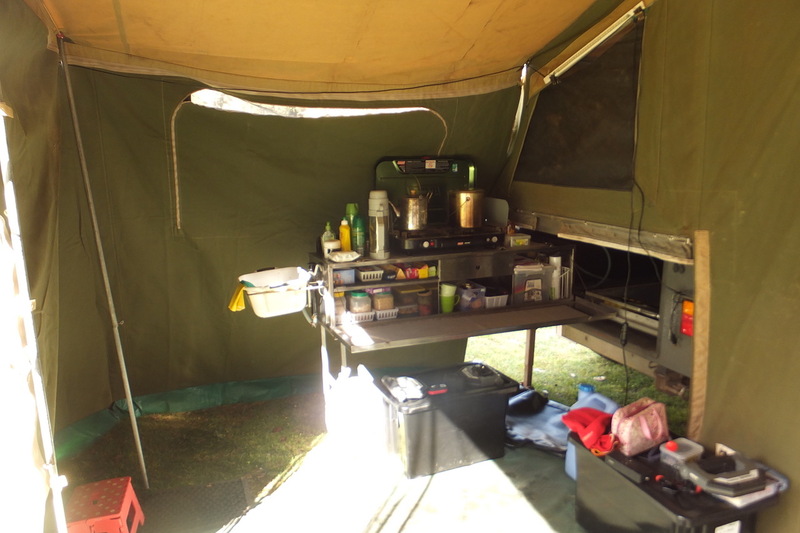 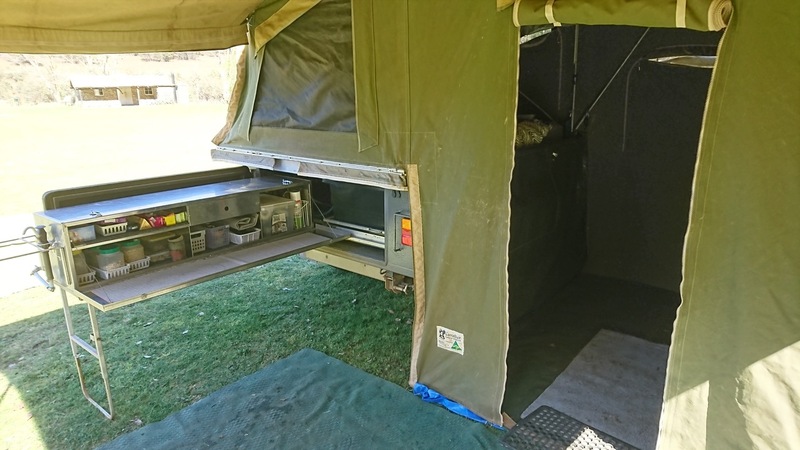 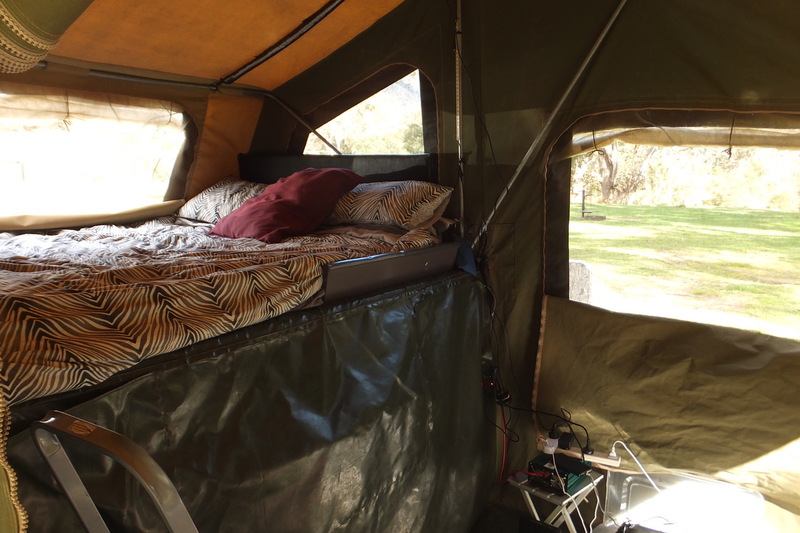 Also included are a large ground mat, rubber mats and under-tent protective tarpaulin. 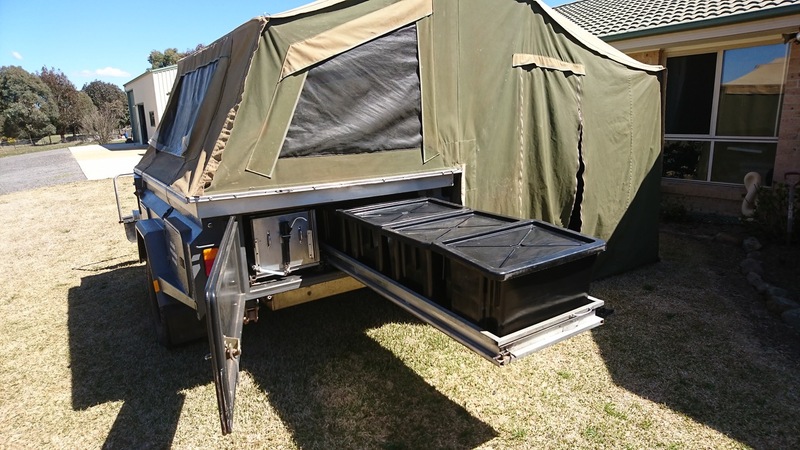 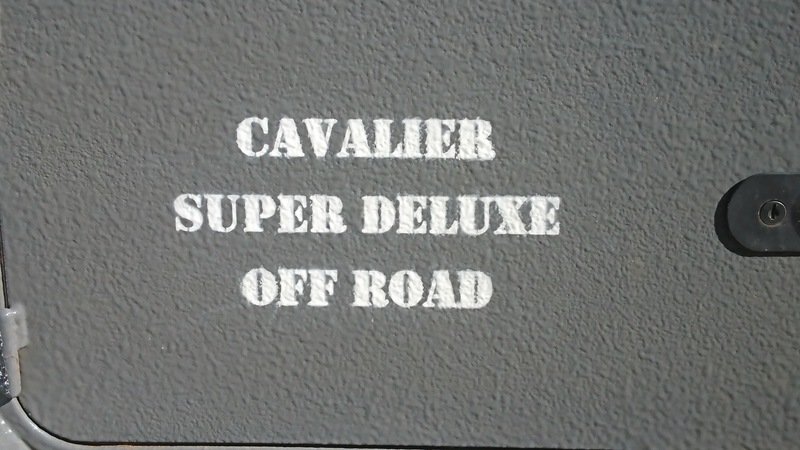 Excellent condition recently painted with stone-proof Speed Liner finish. 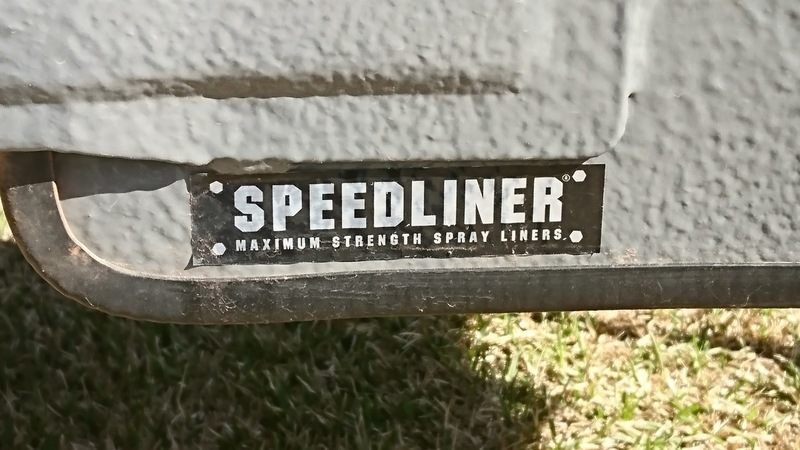 There are no stone chips or any other damage. 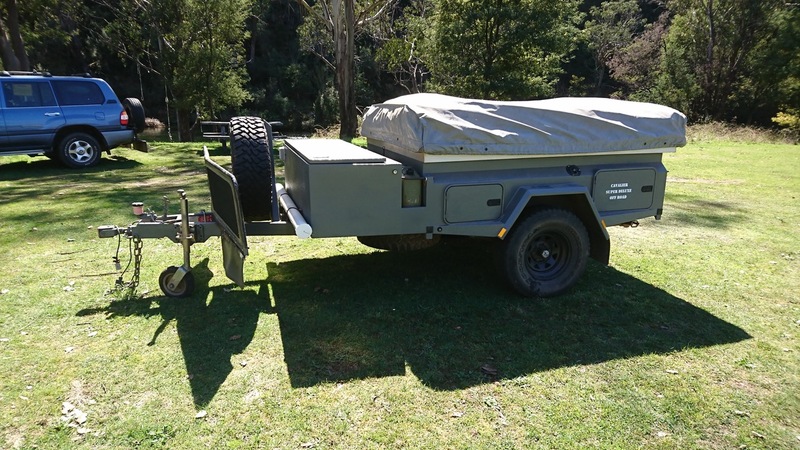 Additional A-frame mounted cable-controlled winch to enable trailer to be pulled to tow vehicle in difficult situations – a unique feature on any trailer. 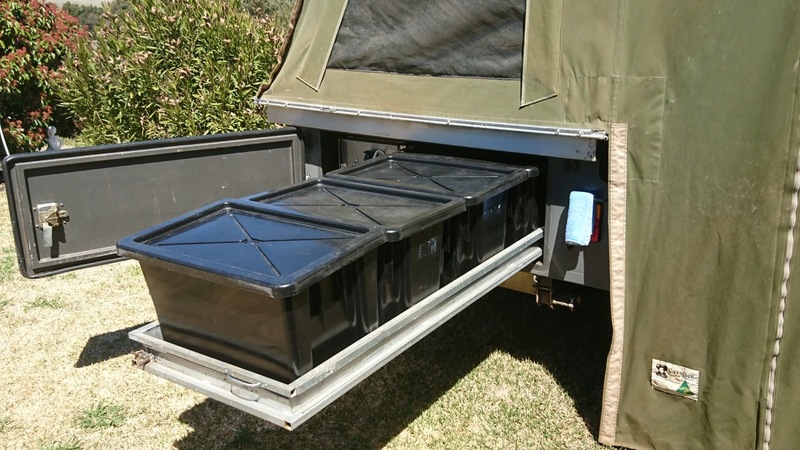 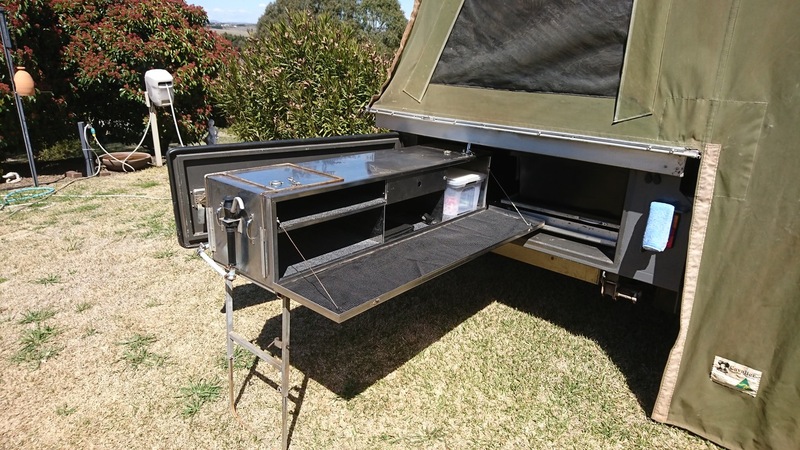 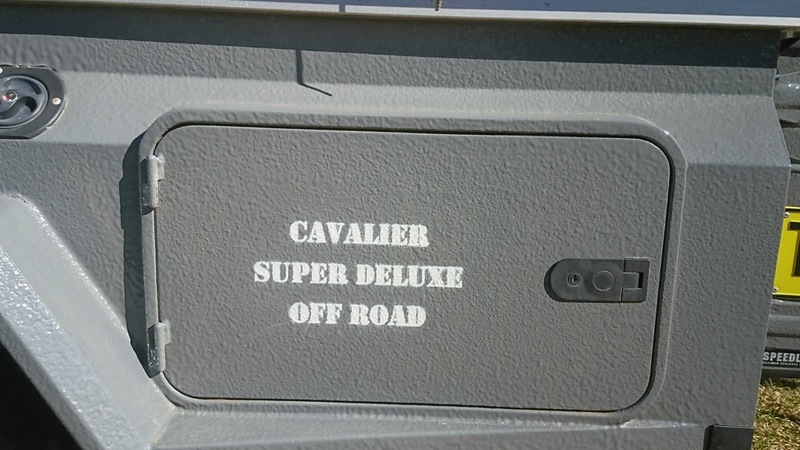 Lockable storage for four (4) 20 litre Jerry Cans. 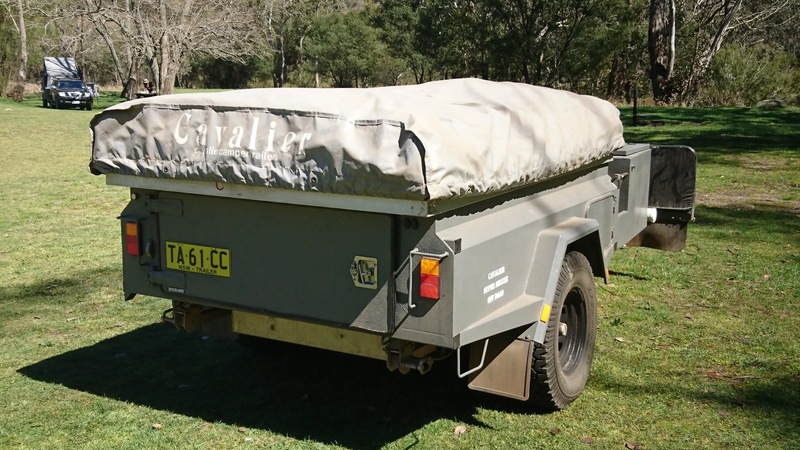 Three (3) diesel and one (1) water Jerry cans included.